Since its introduction, the “Album Rating” tag behaviour and usage have not been totally clear, but it could indeed become a really powerful tool for sorting out your music collection even better, so let’s give a quick look to it. We already had the standard “Rating” tag, do we really need an “Album Rating” tag as well? Yes we do, and I will show you why. If you are an avid music collector and cataloguer, and your collection is bigger than one terabyte like in my case, somewhen in your life you will need to create a “Best Albums” playlist, a subset of your collection that you would bring with you on the Moon. Creating a “Best Albums” playlist is not an easy task like creating a “Best Tracks” playlist, you need good evaluation skills to rely on. Considering just the single tracks ratings will bring you to a too much and cluttered “Best Albums” playlist. Può essere utile, ai fini di statistiche et similia, disporre dei dati della propria libreria di iTunes in un formato universalmente accettato come il CSV (Comma Separated Value), che può essere importato e manipolato con una pletora di software. [EN] 500 Gb of netlabel music! + eldino’s Netlabel Releases Guide (free pdf) now out! So… Ladies and Gentlemen… the first edition of my “Netlabel Releases Guide” is out! It contains every single song of my collection and for every release it shows all the informations you can desire of: artist name, track title, album title with release code, track number, duration, genre and my personal ratings (from 1 to 5 stars). When I saw it, I said “Woah, that media player looks amazing! It could be very nice to setup that touchscreen music jukebox I’m thinking about since years!“. 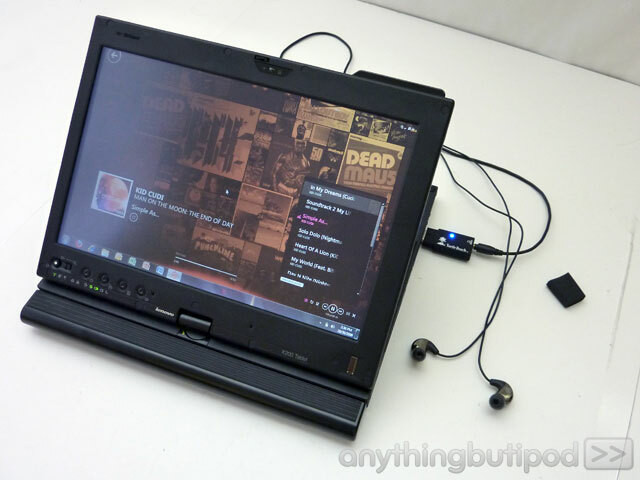 Well, that eye-candy and unknown mediaplayer potraited in the pic is Zune Software 4.0. Zune Software is the iTunes-like application for managing Zune players and brings a really fresh and innovative user interface. I gave it a try and I think it could be a really nice graphical “front-end” for a well-tagged music collection like mine. 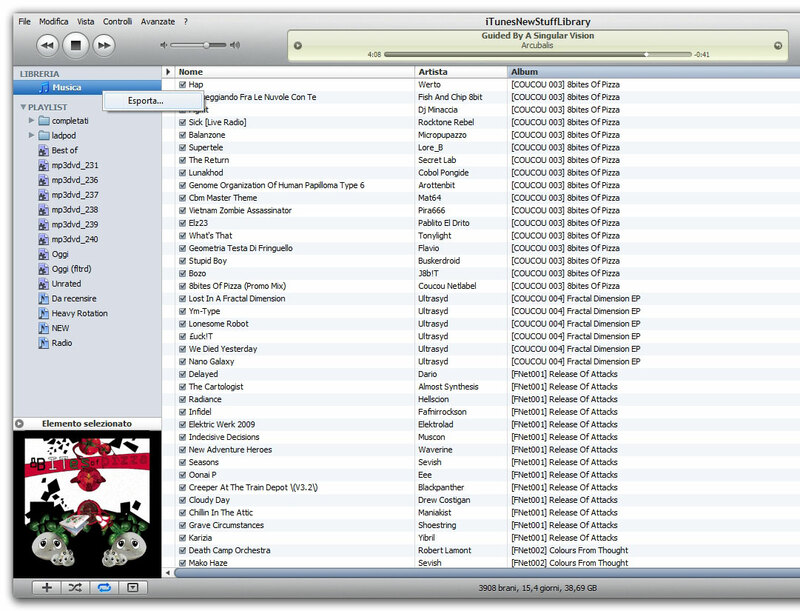 Talking about fuctions, it’s not complete, powerful and usable like iTunes, at least for maniacs/pro users like me, but a system with Zune Software as frontend + iTunes & Tagscanner as backend could work lovely as music jukebox. 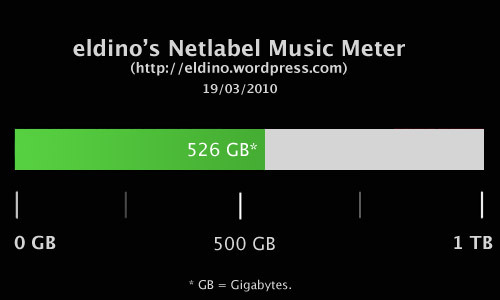 [EN] Going straight to 400 gigabytes of netlabel music :-) Is mine the biggest netlabel music collection on Planet Earth? My collection of properly tagged and rated netlabel music is going straight to the impressive size of 400 gigabytes… nice, isn’t? 🙂 If you want to figure out what “properly tagged and rated music” means, check the screenshots after the break (click on the thumbs for bigger images)! Stai visualizzando gli archivi per la categoria iTunes (Mac).